One common question I see asked is what is the best way to rip a TV Series Boxset. The biggest issue with TV Series Boxsets is that it is not particularly user friendly with episodes spanning across multiple discs. I have found that ripping each episode individually works the best, especially considering that most front ends have nice interfaces to manage TV shows. Almost a year ago I had documented several different ways to rip individual TV episodes, so I thought this would be a good opportunity to revisit the topic. Lets take a look at some of the popular software out there that can be used to create individual episodes, with a focus on mkv. 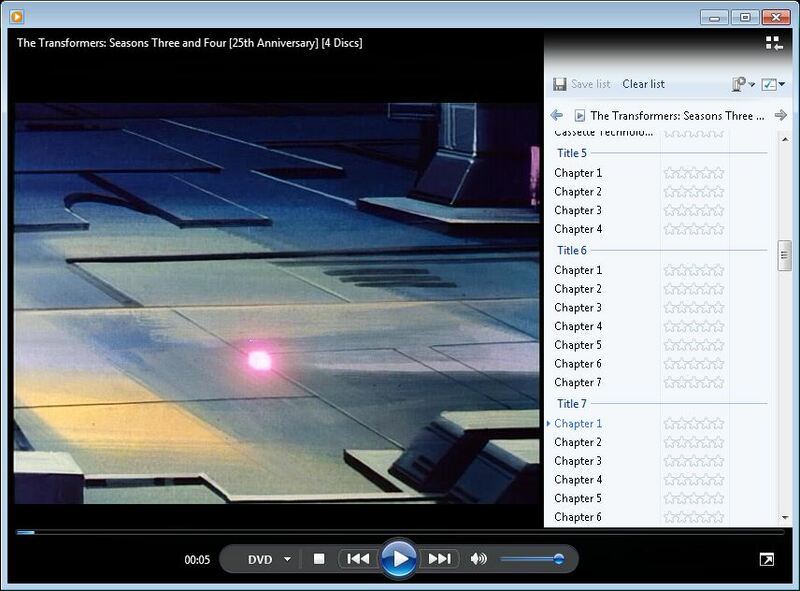 From the screenshot below you can see there are 6 episodes (the giveaways are the chapters and the file sizes). Simply put a check next to each Title you want to rip, specify your Output folder, click the MakeMKV icon, and away you go. You can select/edit multiple profiles to use when creating the mkv. Similar to DVD to Mobile except for Blu Rays. 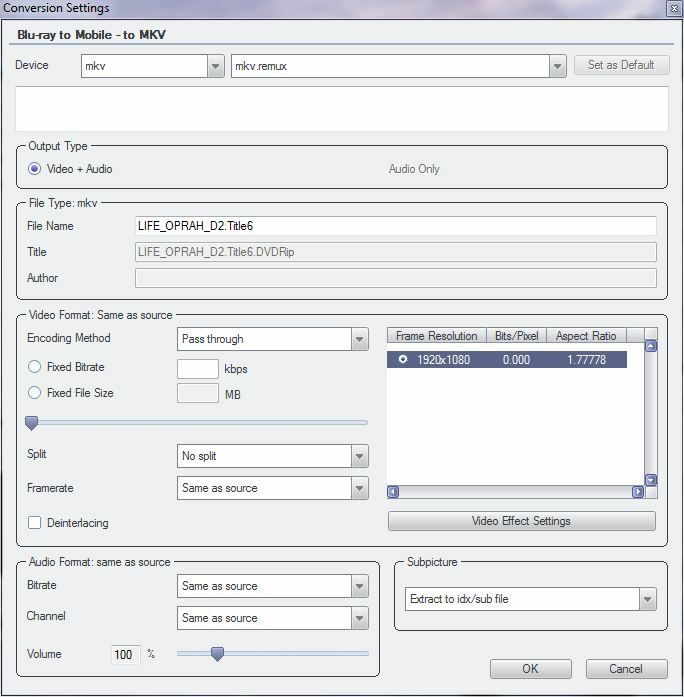 Comments: For encoding DVD TV boxsets this is my program of choice as it picks up all the episodes and has some preset profiles that come in handy. 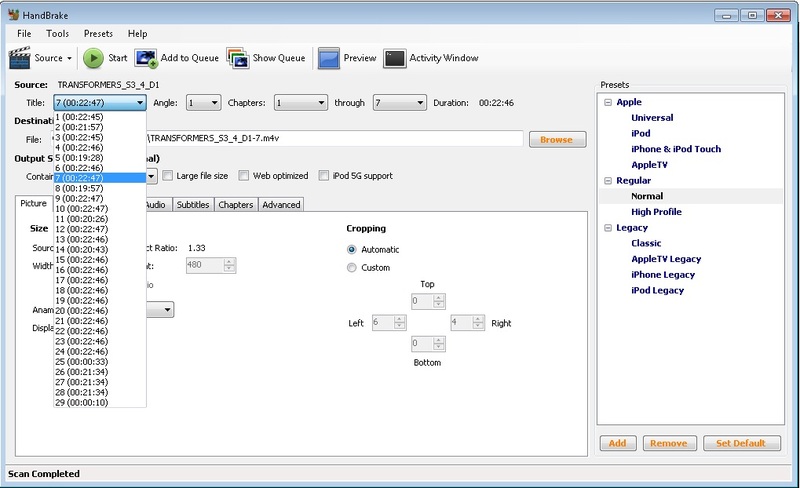 An alternative if you want to encode would be to use a program like MakeMKV to create and mkv, and then run the mkv through handbrake. 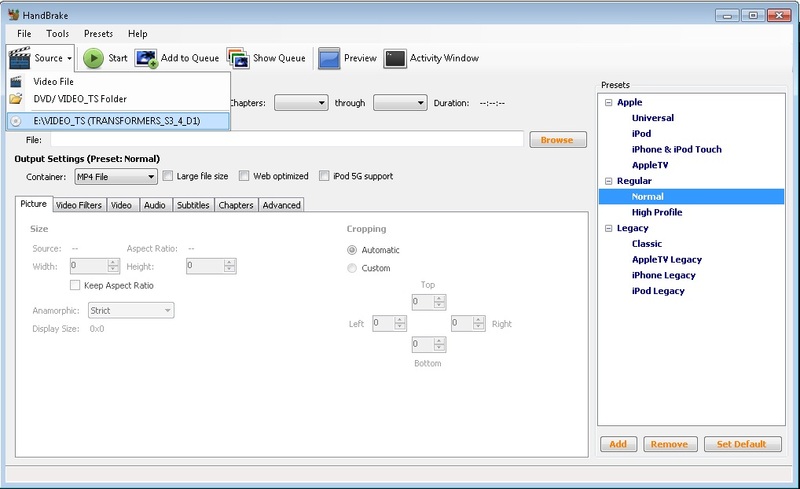 To get started, select the Source that Handbrake should use. With the Title selected you can then select what container you want to use (MKV or MP4) and also select what Profile you want to use (you can choose any of the default profiles or create your own). I prefer to use the High Profile and leave the settings as is, but don’t be afraid to get creative! You can either hit the “Encode” button to start the encoding process, or you can add additional jobs (keep adding to the Queue) and process multiple files. As each job is processed a DOS prompt will appear showing the progress. Comments: For encoding Blu Ray/ HD DVDs this is the tool I prefer to use. However, the big drawback for me is that Ripbot264 does not allow you to retain the original HD Audio (i.e. 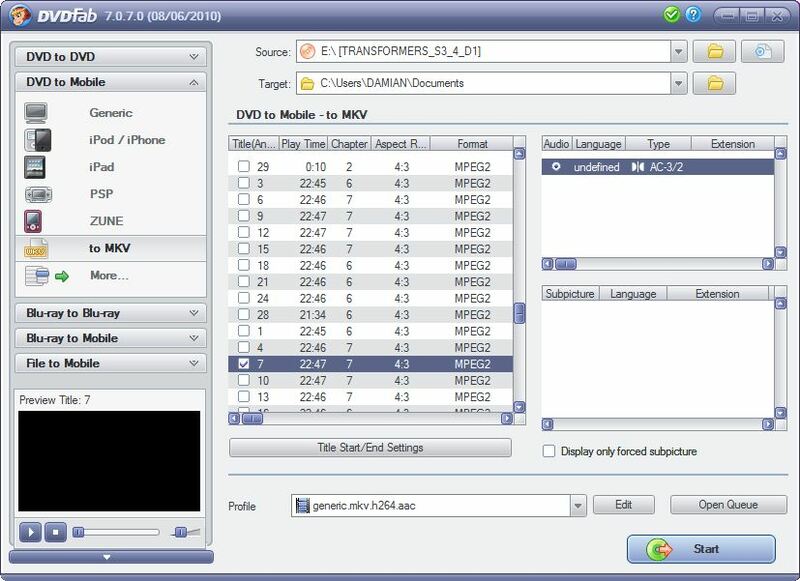 DTSMA or TrueHD) so I end up using Ripbot264 to encode the video, HdBrStreamExtractor to extract the original HD Audio, and MKVMerge to remux everything back into an MKV. I find Ripbot264 does not work well for DVD TV Boxsets so I don’t use. Click on “Add” when you first load Ripbot264 to add an encoding job. Under “Video” click the “…” button. You will need to navigate to the folder where the Blu Ray / HD DVDs video files are stored. It doesn’t matter what file you choose, just pick one. Once you pick a video file Ripbot264 will analyze the disc and show you all available playlists to choose from. In the screenshot below you can see the two episode playlists (each approx 42 minutes) , so choose one of those playlists and select “OK”. After hitting “Ok” Ripbot264 will demux the audio/video streams. This should take about 5 minutes to complete. Once demuxing has completed all the settings should be populated. You can choose what Profile you wan to use (I stick with High 4.0 HD). You can adjust the audio options and you can select what encoding mode you want to use (Constant Quality) or 2-Pass. I prefer to use CQ and set the CRF factor at 20 (the smaller the CRF factor the better the quality and the bigger the file size). I have found either 18 or 20 yields the best results. If you instead want to hit a target bitrate or filesize you would choose 2-Pass. The one adjustment I like to make it to the Picture Properties. Click on the “Properties” button next to CRF. There are several different screens you can navigate through, but I usually only make changes to the first screen. I like to set Crop to “Automatically” to remove the black bars if any and also lock the size in to 1920×1080. Once all settings are where you like, hit the “Done” button which will take you back to the Welcome Ripbot264 screen. You can edit the current job, add a new job, or begin the encoding process. Once the encoding begins you will see a progress monitor at the bottom of the screen. Depending on your chosen settings and PC specs, the process can take anywhere from an hour to 6+ hours. Comments: This is another great program that I use often to create MKVs from my Blu Rays. No encoding options available though, so if you want to encode use another program (or use MakeMKV to create an mkv and then encode the created mkv with another program). 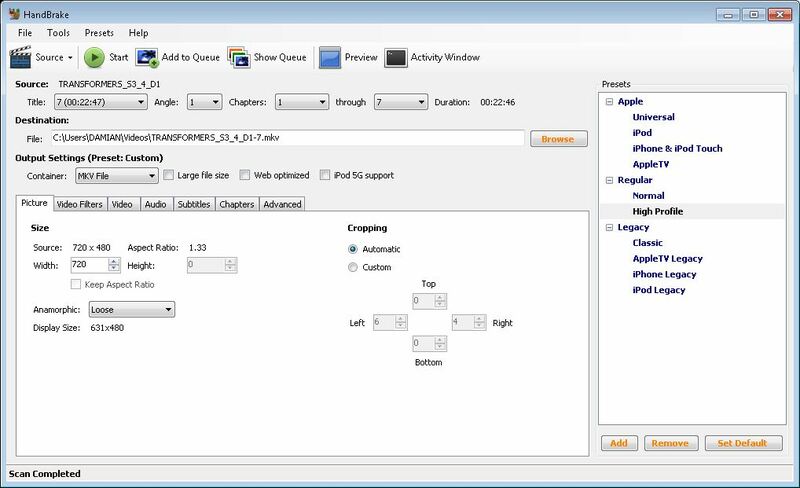 Another EAC3To GUI relies on EAC3To to gather the playlist. For whatever reason I have encountered a few issues with EAC3To where is doesn’t pull the correct playlists, so in a case like that using Another EAC3To GUI doesn’t work for me, and I switch over to MakeMKV. Always check the files you output once completed. Don’t assume the encode/rip went ok without confirming first, even if the same process/settings have worked in the past. Blu Rays that are 1080i VC-1 I have found to be problematic. 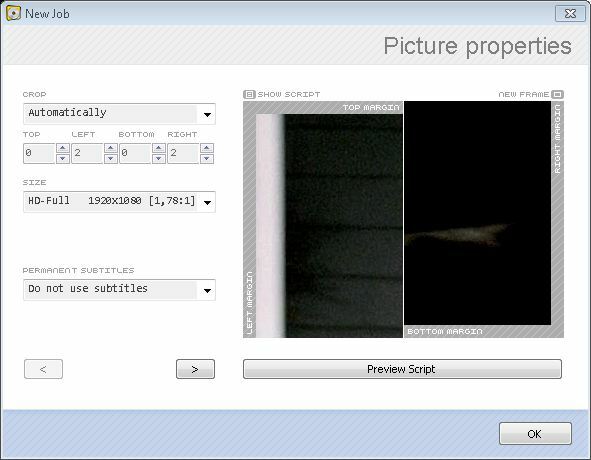 The best process I have found is to encode them (even if you don’t want to ) to h264. One item that is a PITA is figuring out exactly what episode you are ripping. What I usually do is play the dvd that I am ripping in a program like PowerDVD or WMP, go to the episode selection menu and select each episode. When the episode plays in the bottom right corner of PowerDVD it will tell me the title # of the episode, which I can then use as a cross reference when ripping/encoding as well as cross reference against TVDB. As last resort, you can always figure out what episode is what buy playing an episode from the actual disc and then playing back the created mkvs until you find the corresponding one. In Windows Media Player there will be sideways triangle next to the Title #. In the example below, the episode being played is Title 7. Once your episode mkvs have been created and named properly, you can now use your favorite Front End for a much better experience. Obviously the process is a little more involved then just ripping a movie. It is also not necessary to rip out each episode, but for me this provides the most rewarding experience and has the highest WAF. The best bet is to try a few different methods to find which one works best for your setup. Just purchased Firefly Season 1 on Blu Ray. I used MakeMKV to create mkvs for each episode. The only way I could determine which episode was which was to play back each episode from the Blu Ray disc and then play all the created mkvs until I found the mkv that matched up with the episode. A little manual but you only need to watch the first few seconds to know which episode you have. It is quite surprising that none of these software options have come out with an automatic episode identifying feature. For example, why can’t they query/scrape the TVDB or EPGuides sites when a TV boxset disc is inserted, much like how the CDDB is checked to get artist/album info for music cd’s? So many front-ends can scrape episode info, and there are several good programs devoted to TV show re-naming (i.e. The Renamer is my fav), why can’t ripping software do it? It’s maddening when ripping dozens of discs. 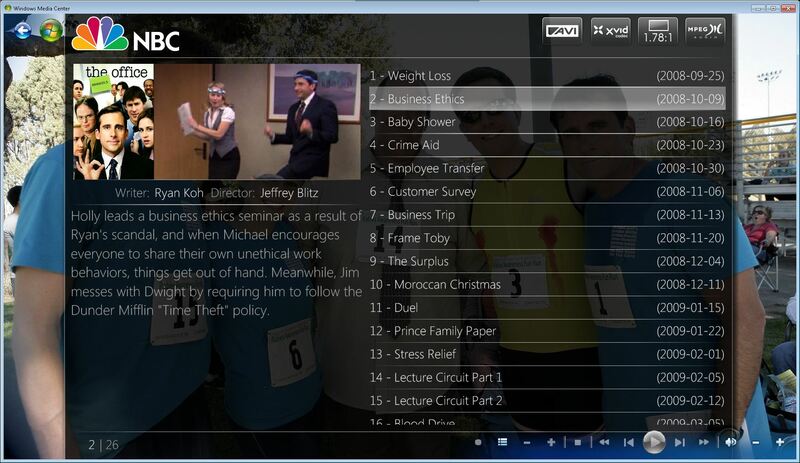 It all comes down to is there software that can actually identify the episodes. For example, there are a lot of front ends that will scrape TVDB but they require the episodes to have specific naming (i.e. SxxExx). I don’t know if the actual disc has a way to identify each episode, there is an ID to identify the disc itself, but possibly not the episodes. It would definitely be nice though, I would think one option would be TVDB also having extra info (such as what disc title # and disc # for each episode) so then ripping scraping software could then reference. so i downloaded makemkv and I’m ripping separate episodes off a futurama box set, problem is the episodes are about 1.12GB each is there some way to reduce size but still keep the quality good and still remain an mkv file? thanks. thanks, by the way if i do run them through what would the size be for an average 22 minute show? I agree that a program that could automatically rename the output files to the correct TVDB format would be a godsend. Wondering if that would be hard to create? MakeMKV does a pretty good job at creating the files in episode order, however does not have the ability to name the files. Has anyone every seen anything like that? 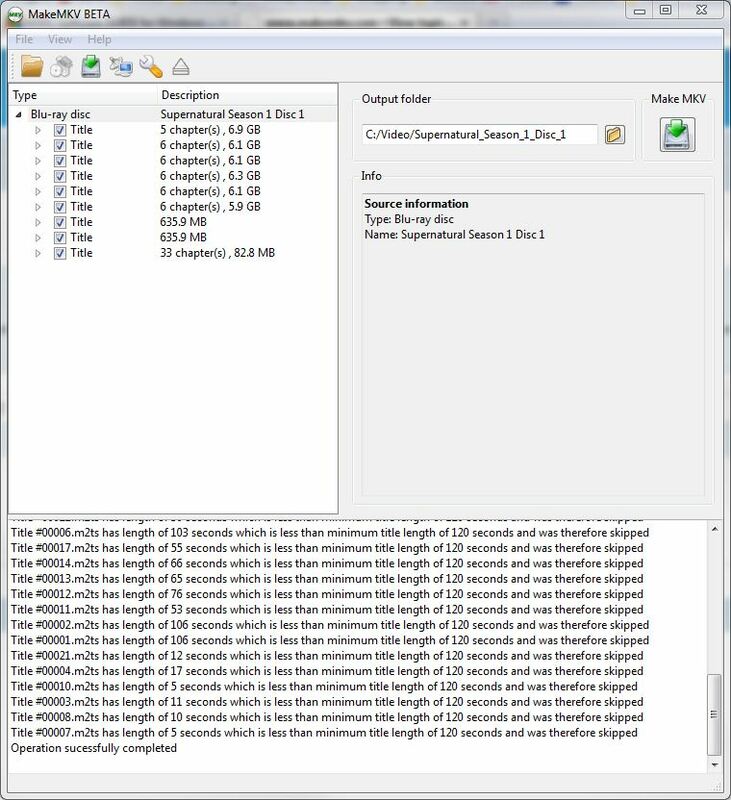 Right now I use MakeMKV, go through the episodes to verify they are in order, then use a program like TV Ripper to batch rename the files. Seems like there should be enough ID information on the actual BluRay or DVD to create properly named and sequential files. Part of the problem that I just found out is that the episodes as they are on the disk are not always in episode order. For example I just purchased Firefly Season 1 which is made up of 3 disks. On the first disk it turns out that episode 1, 4, 7, 9 were on that disk (where I would have expected 1-4). I think it all comes down to whether there is some sort of playlist that a ripping program can read that specifically linked up the episode with the file itself. Man would that be great if there was such a program!!! Yes sounds like alot TV shows have lazy mastering. Anyway, there must be a way to extract playlist order from the DVD? I assume that this is stored somewhere on the DVD? Yes that is exactly what is needed. Kind of a combination of MakeMKV and TV Renamer. My Programming experience began and ended with .BAT files, so hopefully someone else is interested in doing this. Especially Since TV Shows are sometimes much higher quality than movies. There must be a unique ID of sorts on each disc. What is needed is a database of every show ever released on DVD box set and a corresponding listing of contents on those box sets, searchable by disc ID number. Pulling from that sort of DB would also help alleviate naming issues with special features and disc extras that are always a pain to get scraped correctly in xbmc or yamj too. The TVDB is great, but focuses on TV shows as they aired, not on their box sets/dvd releases. 1. 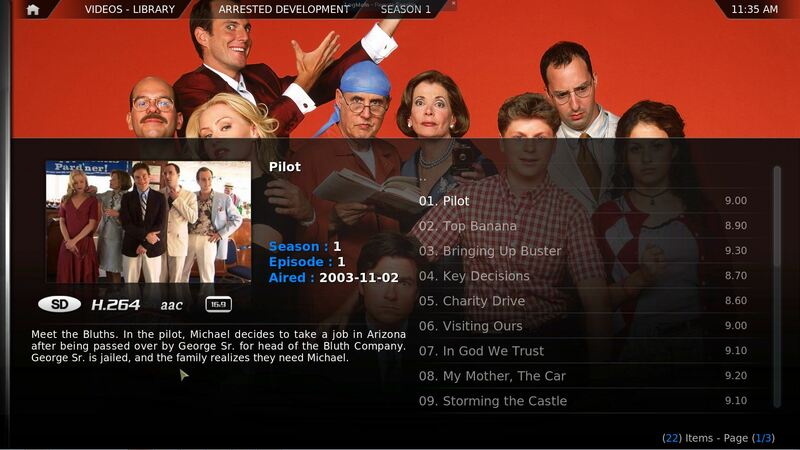 Use MakeMKV for each disc in the series (Currently doing my Curb your Enthusiasm collection). 3. 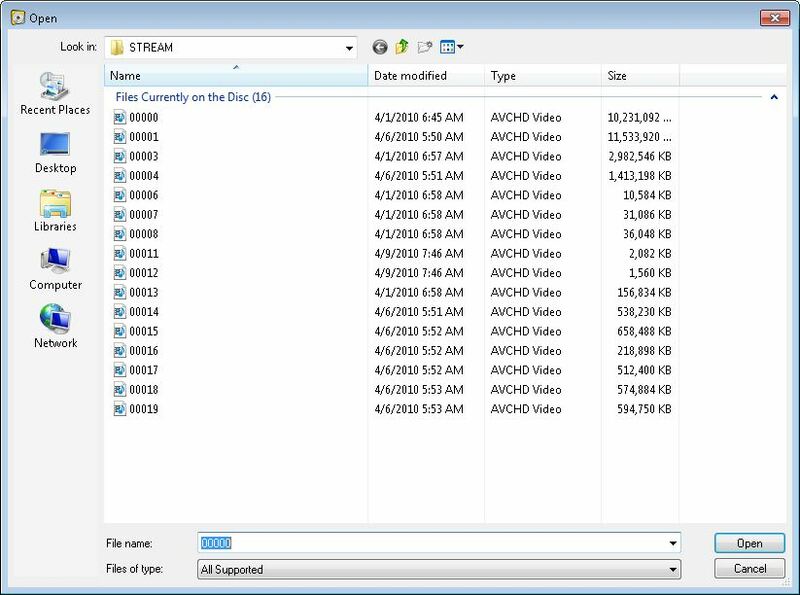 Use TvRename to change the filenames to something better, matchup episodes with TVDB, download thumbnails, etc..
3) Copy individual S##E##.mkv files to my server. Metabrowser automatically monitors for new files on my server, so when I copy over to my server Metabrowser renames right away. Question: I have a box set where on the DVD the episodes are in one big file impossible to rip individually. Whats the best way of going about ripping it and putting them back into individual episodes instead of 1 big file. Could you give me an idea of how to split up the video in mkvmerg, ive never worked with mkvmerg so im sort of lost. does anybody have any experiance with ripping cartoons? when it gets ripped it is interlaced. Today when i ripped both south park the 13 season and my ugly americans dvd with makemkv, both of witch are 16×9, i noticed the shows all have a thin green line on the right of the screen before and after they have been encoded with hand brake and ive yet t get rid of them. any sugestions? That is odd. What player/software are you using for playback (maybe it is a software issue and not the file itself)? I was going to try MakeMKV. Is the quality of the MKV file exactly the same as the original DVD? I’m sorry for being a noob, but I’d just leave as the original DVD if any quality is lost. Yes, the quality is the same as the original. 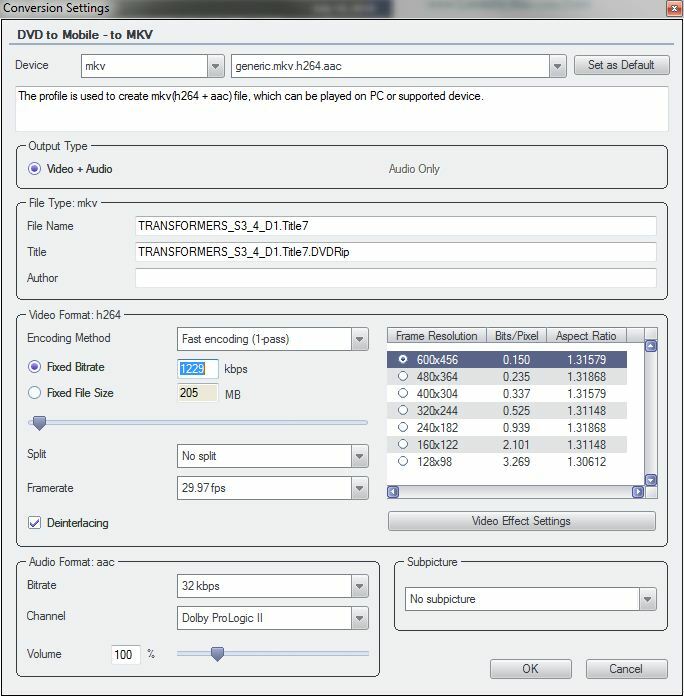 Generally, MakeMKV does not touch the actual video or audio data – it simply puts it into an MKV container. Also, MakeMVK for DVDs is free. The paid version is only for HD-DVDs and BluRays. Either way, I think they have promised that the DVD rips will remain free. I can mostly recommend the software except for some HD-DVDs that were a problem. BluRays have been perfect for me. It seems that the My Movies database would have all the information needed to cross reference episode # with the position on the disc. As users rip TV shows, they are mapping the episodes to the specific location and that information gets uploaded to the database. The Disc ID is even stored alongside it. Someone should take advantage of this in their software, or better yet, My Movies should incorporate this functionality into the ripping side of their software! Yeah, I haven’t checked to see how far along they had gotten since it is all user driven. I think this had been discussed for TVDB but the issue is there may be different versions of a disc, so the chapters may not line up. I do agree though, since the info is embedded within the My movies servers they should definitely leverage this on the ripping side. It would have made life a lot easier for me! As an avid My Movies user; and as someone who has used the feature mentioned quite a bit (I’ve mapped a few hundred TV episodes myself). I’ll just comment that unfortunately this doesn’t seem to work as well as one would hope. For one, rarely do I find a DVD where the TV episode is already mapped; to do so manually is tedious, when it is present in the database, sometimes it’s wrong, and then more frustratingly it just plain doesn’t work sometimes even when the DVD is mapped appropriately (from a post I put on the forums awhile back, I’m told that some DVD’s are “stubborn”… though I’m not sure what that means). But if all this could get ‘fixed’, YES, would be awesome for someone to leverage. Agreed. It really is only as good as the users since it is reliant on them to enter in the correct information. The one concern I always had is what if there are different editions of a TV Show DVD with different episode orders, that could cause an issue if not careful. Nice write-up. Handbrake does BluRays just fine. Not sure if this changed since you did your writeup. A big benefit because RipBot takes 10x as long to encode the same file it seems. For me, Handbrake takes 1-2 hours for a BluRay to a phone/tablet quality MKV whereas RipBot takes 10+ hours. If you have found a quicker way to quickly push an HD-DVD to mkv and re-encode down to the smaller size for portable devices, would love to hear about it. I thought I had updated this guide to mention Handbrake worked with Blu-ray, but looks like I never saved it :-(. Sorry about that, I have updated now. 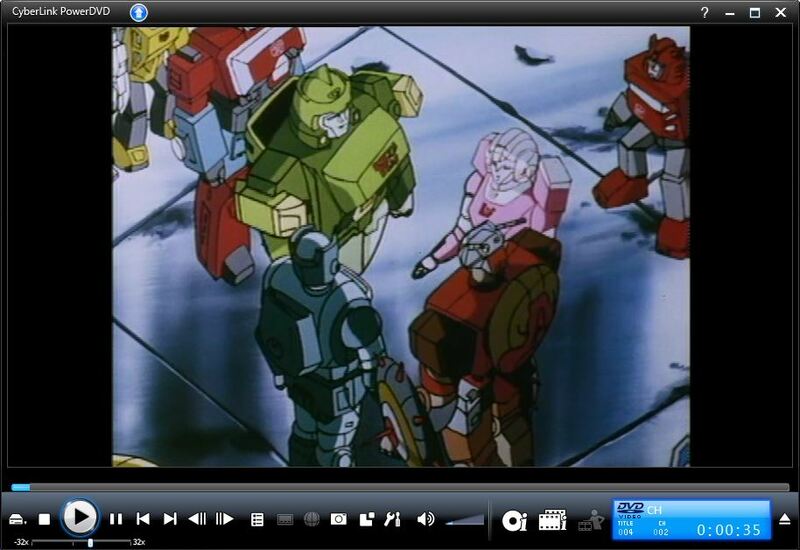 As far as Handbrake vs. Ripbot, I use Handbrake on my Blu-ray movies when I want to create a mobile m4v for my tablets. For my Blu-ray TV Shows I still use Ripbot264. The main reason is I get the best resulting mkv with the 4.0 profile in Ripbot264 (I am sure I could try to mimic the exact settings in handbrake but I haven’t looked into that yet). As far as the difference in time, something must be wrong, or you must be using a different profile in Ripbot264 (possibly 2-Pass) that is not allowing you to do an Apples to Apples comparison with Handbrake. For example, I just finished using Ripbot264 on my Season 6 Supernatural Blu-ray boxset. I used the 4.0 Progessive profile, CQ=20, original audio. For each 42 minute episode it took between 40-50 minutes. This is in line with the same time it takes for handbrake. I think the only drawback with handbrake and Blu-rays is that it does not support Blu-ray subtitles (someone please correct me if I am wrong). For HD DVDs to a mobile format I still think that MakeMKV or Clown_BD (to rip the main movie) and then throwing into Handbrake is probably the best option. Well I finally got around to ripping some series and I have only tried Handbrake so far. I am curious about one thing. If you just add the series to the queue and say start, what type of rip is this? At first this is all I did and the rip was perfect. I then looked at the guide here and you are talking about encoding and I said whoops I am missing something. This was on DVD rips of the big bang theory. I have some blu ray series and I will also try ripbot in the future. you can set to RF 0 and it will encode but will be lossless.